Have you ever felt like God was calling you out of your comfort zone? It doesn’t always have to be something drastic or life altering as a move to Africa or somewhere else to become a missionary – although those are the most obvious examples. Sometimes it is much smaller. So much so that it doesn’t seem like anything at all. It starts as a tiny whisper. A little bit of something niggling in your soul. Because it is so small it can sometimes be ignored. Pushed down an forgotten about. It is easy to not give it a second thought. Or so we assume. But God has a way of making waves with that tiny whisper that can rock your very core. Like that time I was at church waiting for the service to start. As I looked around, I thought about how much I really loved the people that called this church their home. Wonderful, amazing people. But there was that tiny whisper. A tiny whisper that said it was time to find another place to worship. What? No…that couldn’t possibly be right. As the service started, I pushed it down deep and joined in the singing. This continued each week and each time the whisper became more noticeable and a lot louder. Finally, it was roaring like a lion. I couldn’t stop thinking about what once was a whisper. Filled with discontent and despair, I turned to my husband for guidance. Sometimes not everyone hears the tiny whisper at the same time. So I tried to stuff it down deeper. Surely, God didn’t intend for us to go to different churches. What was going on? I will tell you what was going on – several months of suffering. Why was God whispering this to me when he wasn’t whispering it to my husband? What did He want me to do about it? It was a desperate place of loneliness and despair. Almost like a spiritual wasteland – but not really. Because during that suffering, He was just pouring into my soul. 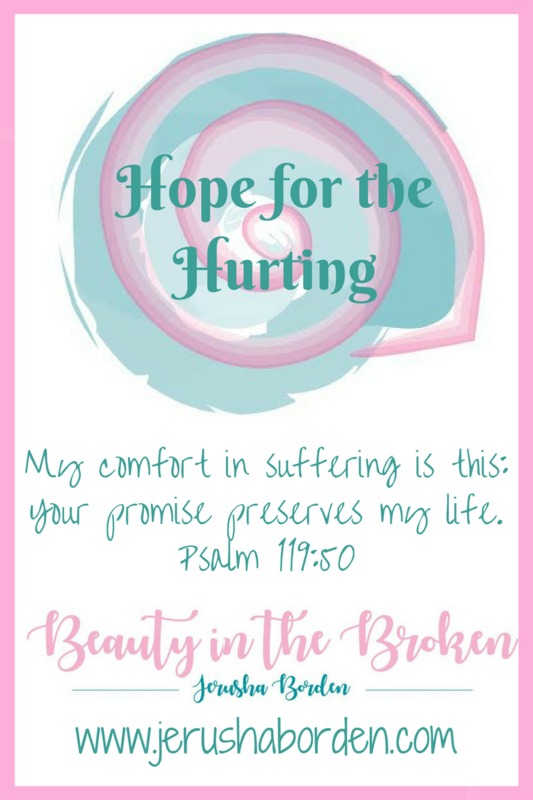 In this period of waiting and discontent, I experienced His comfort. I didn’t understand His plan or what that meant for the future. I just knew He loved me and would comfort me in this time, while still I experienced these feelings of discontent. And that second roar? It was loud enough to reach both my heart and my husband’s. Then everything changed in an instant. Not everyone appreciates change. We get comfortable and happy and we don’t want to leave that behind for a different, more difficult journey. 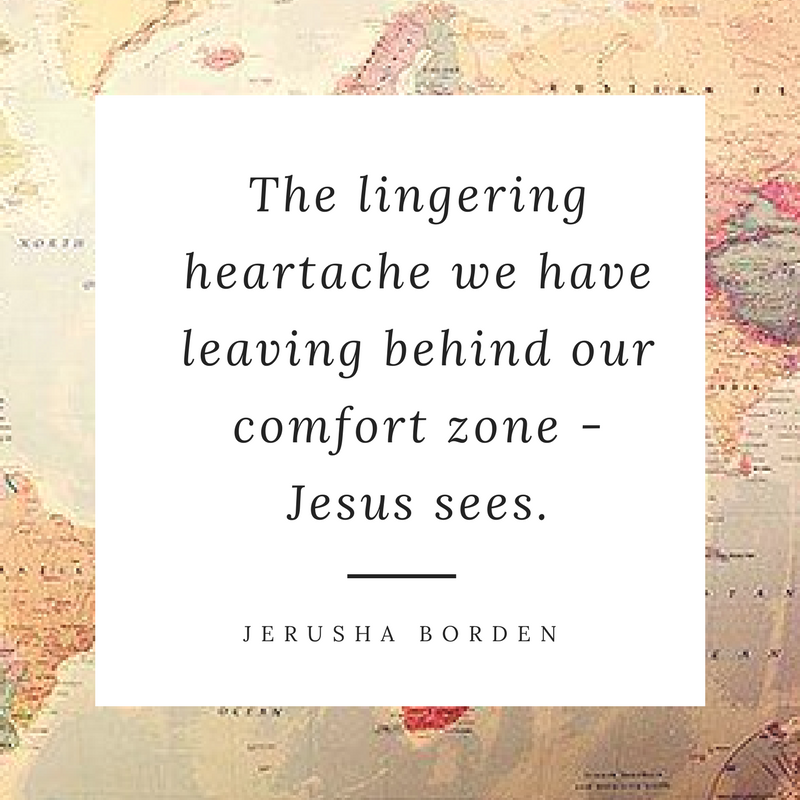 But we have to go where God is taking us next – even if that means heartbreaking changes. Obedience is not always easy. Walking through the unmarked path can be the most challenging thing you have ever done. Like wading through a deep jungle where unrest was at every corner. But the destination at the end of that unmarked path is so glorious we can’t even fathom it. My husband is a runner. He loves to run. Me? Not so much. But I can still appreciate the analogy that life is a race. An exciting race from the start when we are saved from sin because of Christ – to the beautiful end when we cross the finish line and are no longer separated from God. When my husband runs in a race, he runs slowly at first and then gains momentum as he goes along – and when the finish line is in his line of sight, he runs hard to finish strong. There are two beautiful verses in the Bible that illustrate this for us. Let’s take a look at Hebrews 12:1-2. It says, “Therefore, since we are surrounded by such a huge cloud of witnesses to the life of faith, let us strip off every weight that slows us down, especially the sin that so easily trips us up. And let us run with endurance the race God has set before us. We do this by keeping our eyes on Jesus, the champion who initiates and perfects our faith.” When my husband started running, he joined up with a learn to run program. He learned how to run and enjoyed it, but then he lost momentum when he didn’t have anyone keeping him accountable. He ran here and there, but not regularly as he had hoped. Until he joined another running group that not only kept him accountable to his exercise regime, but his faith as well. He runs regularly with this group now, and those who are more advanced take time to instruct and encourage him as he presses on. This passage in Hebrews is similar in that it is Jesus Christ himself who is the champion runner – not only does He go before us in this race called life, He knows us intimately and is the only One who can equip us for what is to come. The next verse is in 2 Corinthians 4:18. “So we don’t look at the troubles we can see now, rather, we fix our gaze on things that cannot be seen. For the things we see now will soon be gone, but the things we cannot see will last forever.” Okay, back to that jungle path. We can’t see the magnificent ending that awaits us. All we can see are the twists and turns that are ahead of us in the here and now. All we can feel is the heartache and discontent that comes with suffering. But if we fix our gaze on Jesus, and we strive for obedience to God calling us out of our comfort zones, the path gets a little bit easier. There might be a beautiful grove where we can stop for a refreshing drink and rest. Even if it just for a moment. When my husband heard that whisper we decided to look for a different church. Even though I was in agreement, I cried myself to sleep that night. Why? The thought of leaving behind my friends was more than I could take. So many people I loved who I would have to leave. It might seem a bit ridiculous – just because you leave a church doesn’t mean you have to stop being friends with your fellow believers. While that is true, the dynamic does change. I am not going to tell you it is hunky dory – it isn’t. People have been hurt along the way. It was never our intention for that to happen, but it does. I only pray that God will soothe their hurts so we can heal. While I love my friends and value their relationships, I value my relationship with Jesus even more. What started as a tiny whisper was now a full blown reality. We visited different churches, and didn’t feel at peace. It was strange to be in the car and driving in a different direction than we had the last decade. I wondered if we could have made a mistake – maybe we didnlt hear God’s call clearly. I thought those thoughts, but knew in my soul they were not true. What was once a tiny whisper turned into a mighty roar that rocked our souls and was replaced with a confident hope. We attended a few services to be sure and received confirmation after confirmation that was where He was calling us. And when the jungle path starts to get easier to tread, you see a sunrise. A new horizon that brings the promise of a new day. Eventually this uncomfortable obedience will become your new comfort zone. If God calls you out of that one, and you are obedient, you might go through it all over again. But when you continue to obey God’s leading, one day that sunrise will be more glorious than ever before. As you come out of the jungle path and are standing in His brilliant presence, you are finally home.